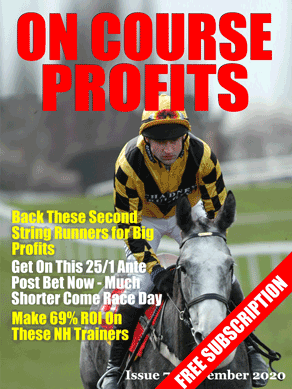 I've got more free tips for you today from a service that has made over 50 points profit in December. Mark Foley knows the Premier League inside out which is obvious by the detailed analysis that his members get for every match that he analyses. Today he has bets in three matches and below I have shared his analysis and bets for the Stoke v Man U game. If you want instant access to the other two games you can join his service for a trial price of £9.99 for the first month. Manchester United have a good record in this match, they have won 11 and lost just one of their 13 League meetings with Stoke City. They have won five and lost just one of their last seven away games in all competitions against Stoke, but Stoke are looking solid at the moment and will record three successive Premier League clean sheets for only the second time if they keep United at bay today. United have played 5 of the teams currently in the bottom half of the table and they haven’t beaten any of them. Stoke really get up for these games, they are notoriously difficult to beat at The Britannia if you are one of the top teams and are in decent form; they held Chelsea to a single goal for over an hour and have recently beaten Arsenal and Everton. United have by far the bigger squad, but have been badly affected by injuries and the manager admitted that they were running on empty in the 2nd half against Spurs on Sunday. United have only gone in once at Half time leading away from home this season and half of their matches home and away have either been 0-0 or 1-1 at Half time. Six of Stoke’s home games have had no more than one goal in the first 45. I can see this being 0-0 at half time and either ending as a draw or Stoke pulling off a shock. United’s home form and that of David De Gea is disguising the fact that they have been relatively poor away from home. Powers are running a Money Back Special if this ends 0-0, do I’m concentrating on the correct score and first goal scorer markets. Rooney has scored five goals in his last seven Premier League appearances, but only one of them has come away from home, so I’m happy to pass him over for the first goal. Peter Crouch has scored only twice in 20 Premier League appearances against Man Utd but both have come for Stoke, we know he likes to get an early goal. Robin van Persie has scored 10 goals in 10 Premier League appearances against the Potters, including four in five for Manchester United and is the only United player to have scored more than one goal away from home this season. The Coral Football Jackpot pool is on a rollover and the pot currently stands at £2,300,000. Another week goes past and another rollover on the Coral Football Jackpot has pushed the top prize up to an unbelievable £2.3Million. I mean, how hard can it be to predict ‘home win' ‘draw' or ‘away win' on a coupon of 15 games?… and all for a single quid! If you've got a quid and fancy winning a couple of mill, then click here to enter. And we have out aways perm from The Alternative Punters Syndicate where you can get a totally free one month trial of their racing and football tips. Bet is now one treble.